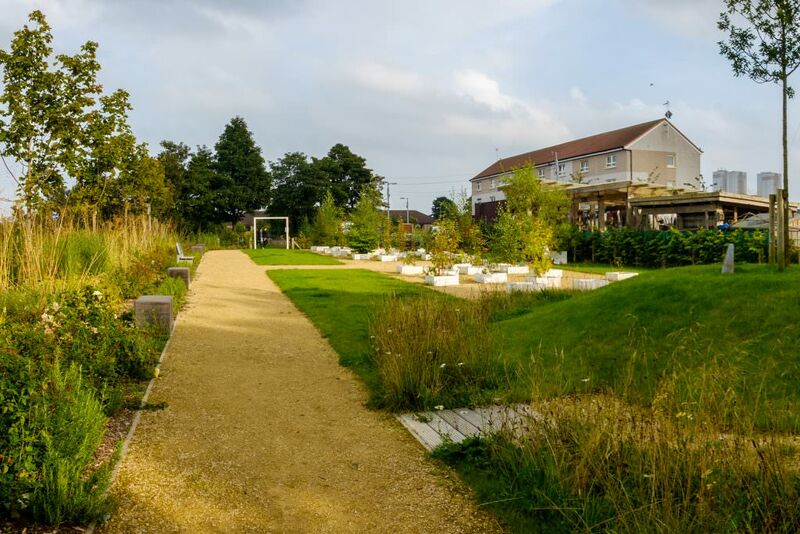 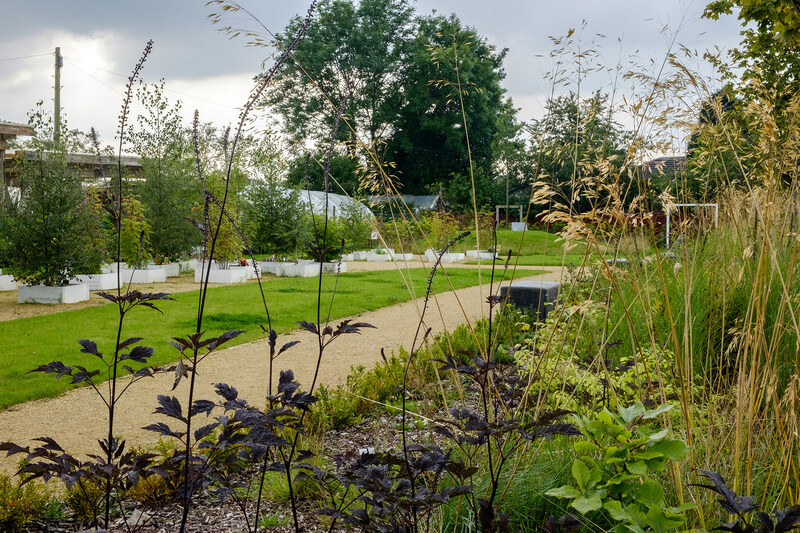 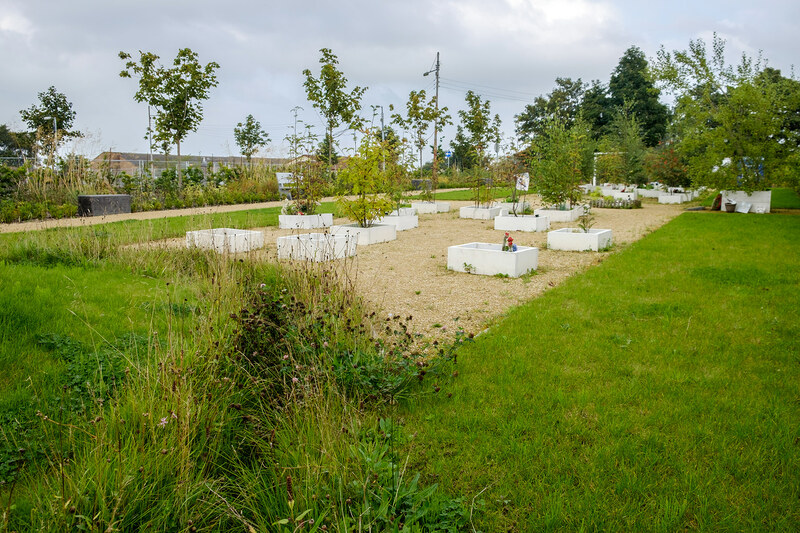 Erz were commissioned by the North Glasgow Community Food Initiative to develop proposals for a memorial garden on vacant land beside the already established growing space. A young local man who fought in Afghanistan had created a memorial on the site to friends he lost in the conflict. 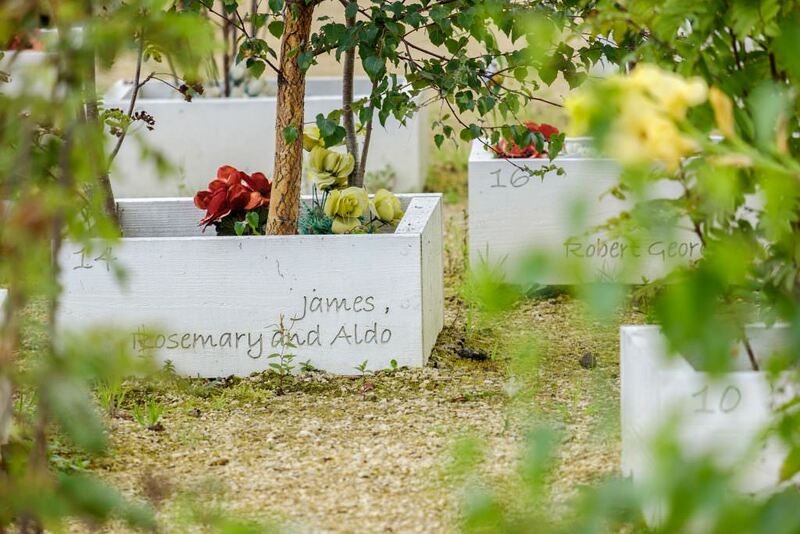 He then worked with local people to create small memorials for lost loved ones, plantings and objects set within white painted timber squares. The power and significance of what had been created informed our approach to the design of the space. 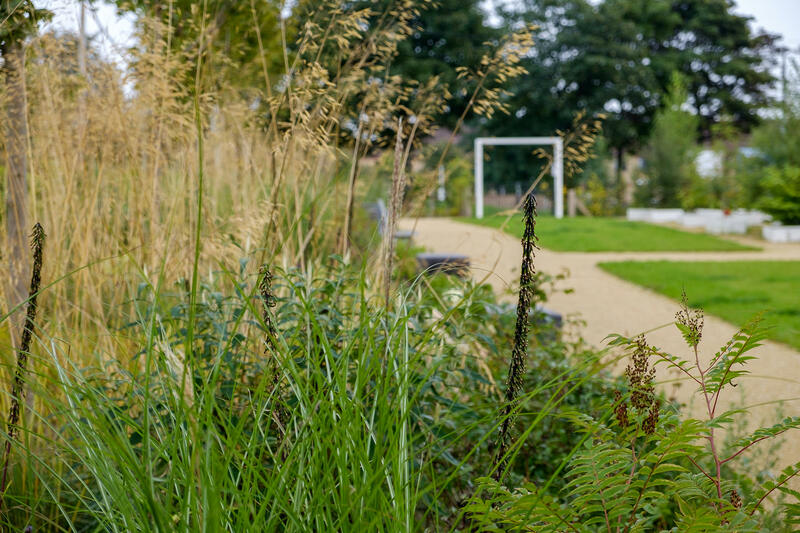 The square timber memorials were retained in place and the garden was created around them, framing and creating a setting to what local people had made and which clearly holds great significance. 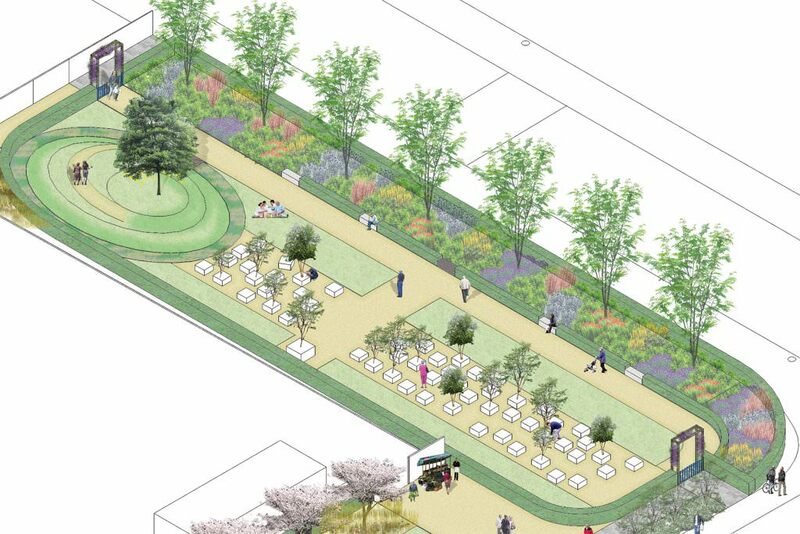 The design, created on a limited budget, defines the edges of the space, giving the memorial garden a comfortable scale. 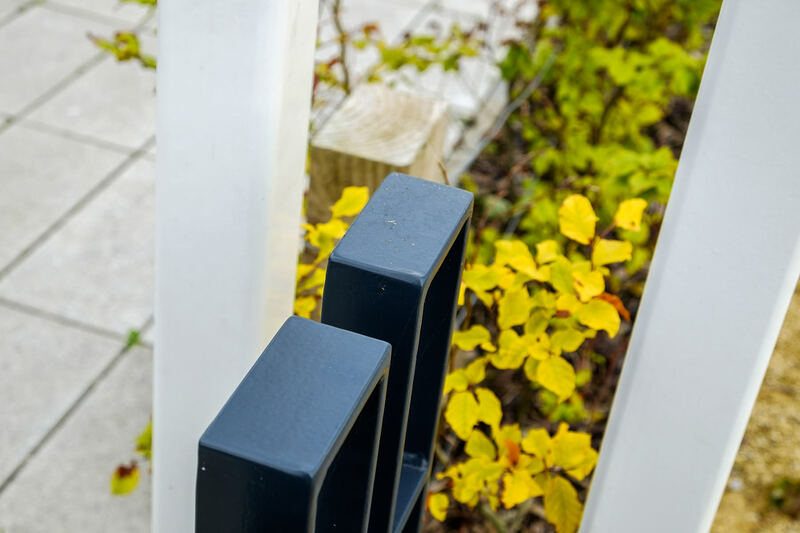 The works include new surfacing, seating, portal / gate features to define entrances and ornamental shrub and herbaceous plantings within the space. 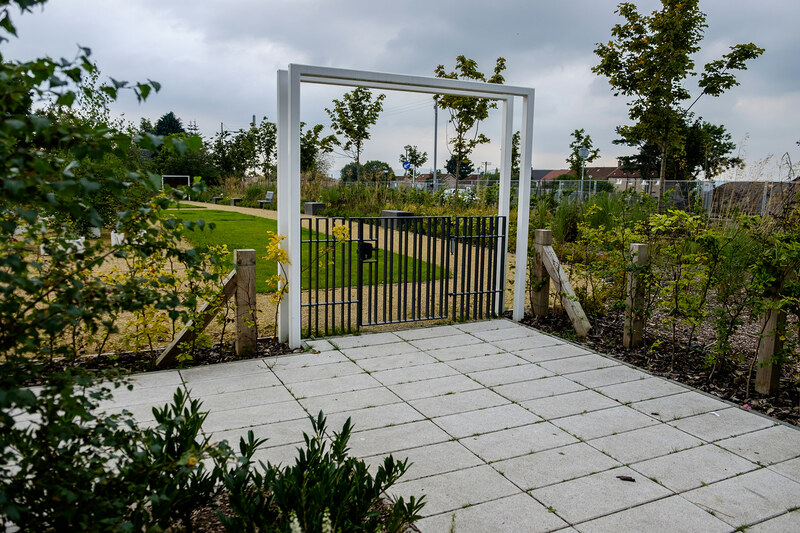 Artist / maker Alan Kain was brought in to work with the original creator of the memorials, to jointly make and replace each timber square (precisely sized to match) with an inscribed, white painted hardwood timber square to extend the lifetime of the memorials.